I am a librarian. I am also a writer. But before I was either of those things, I was a reader. This blog is about books. More specifically, books I've read, reviewed, loved, laughed and cried over. 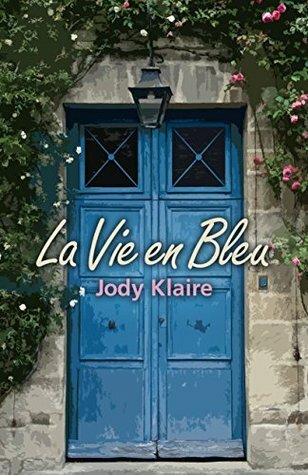 In a departure from her usual style, Jody Klaire has written a straight forward romance here. By straight forward I mean don't expect any paranormal twists, the story itself had twists and turns a plenty. The main characters were likeable and believable. Our entry POV is Pippa who is sweet and caring, as well as very muddled and stubborn. Twelve years before she left the love of her life behind in France without a word of explanation. She thinks she is over her giddy first love, settled into her life of stagnant work routine, crumby flat shared with best friend, Rebecca, and soon to be trophy wife of the rich, handsome and clueless Doug. A shift in her work life and the impending nuptials have started to turn Pippa just a little bit crazy. On a surprise trip to Marseilles, Pippa discovers that she needs to find herself and more importantly her faith in herself, before she disappears forever beneath the veneer of respectable, upper middle class woman she has cultivated and allowed others to force on her. Of course it turns out that Pippa might not be as over her grande passion as she thought. Is it possible that the woman she fell in love with feels the same? This is a warm, funny and moving romantic comedy that examines what it's like to try and get yourself back - and your one true love at the same time. I agree with other reviewers that the supporting cast is stellar. I'd have kept reading for Rebecca alone - my personal favourite. It's a rare story where the roles of the best friends actually have agency and move the story on and this is something the book does especially well. I did get to the point where I was mentally screaming 'for the love of the gods just let them be together' but then I think that might have been the point - often the biggest barriers between two people are those they create for themselves. Minor niggle, I personally could have done with less of Pippa disappearing off into her own thoughts about Berne but this is my preference rather than an actual criticism. Not as much my cup of tea as the above and beyond series, I still thoroughly enjoyed this and recommend it to anyone who loves a well earned happy ending.